Sterling Thomas has been waiting more than two years to take a shower independently. He was a freshman in college when he was injured in a football game in October, 2012 and lost movement below the waist. After undergoing surgery in a hospital in Oklahoma, his home state, Sterling was transferred to Shepherd Center Spinal Cord Injury Program in Atlanta. It was here that his mother, Sharon, first learned about the Travis Roy Foundation. “At the Shepherd Center, they gave us a lot of literature [on spinal cord injuries] and TRF was in it,” Sharon says. Neither Sharon or Sterling knew much about Travis’ injury, but they have since seen his story on ESPN and on the TRF website. This past March, the TRF awarded Sterling an adaptive equipment grant for $2,467 for the purchase of a shower chair, so that he can “perform his personal care with greater independence and dignity,” as Sharon says. 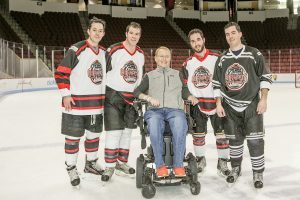 Dear Travis Roy Foundation, We are truly grateful for your commitment and dedication to helping family’s like ours who are adapting and living fully in the setting of a spinal cord injury. On October 27, 2012, we were stunned with the unimaginable, a football injury resulting in a catastrophic spinal cord injury to our son, Sterling Thomas. We found ourselves in need of your support and you came through for us. With your grant of $2467, a shower chair has been purchased and delivered to Sterling. Thanks to you, Sterling is able to luxuriate in what most of us take for granted…a steamy, warm shower! Yes, Sterling is glad to have a shower chair that allows him to perform his personal care with greater independence and dignity. 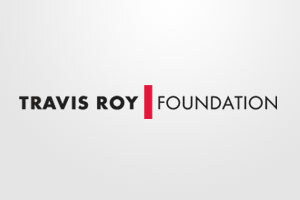 Again, thank you, Travis Roy Foundation, so much for helping Sterling and our family to “Move Forward”.